The process for West Bengal Primary Teacher recruitment exam has been changed. The Government of West Bengal has decided to centralize the recruitment procedure. The Govt. has given the power of recruitment to the hands' of West Bengal Board of Primary Education. Earlier the District Primary School Council (DPSC) has the sole power to conduct the recruitment exam and verify the panel. After the changes, the board will do the same task as the DPSC did. The pattern of recruitment exam has also been changed. The recruitment exam for Primary Teacher consists of 50 marks where as earlier it was 100 marks! The WB Govt. has given the reason of this change is that it would less the corruption. But some says it would result in increasing of the corruption. Now time will say whether the WB Govt's decision is right or not. Dear Readers, what do you think? Share your valuable opinions here. 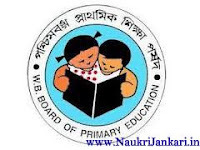 0 comments for " Huge changes in WB Primary Teacher Recruitment Process "